This mini guide to visas lists when you need a travel visa—and when you don’t. Plus, all the fees, forms, and formalities you may encounter on the way for select destinations. 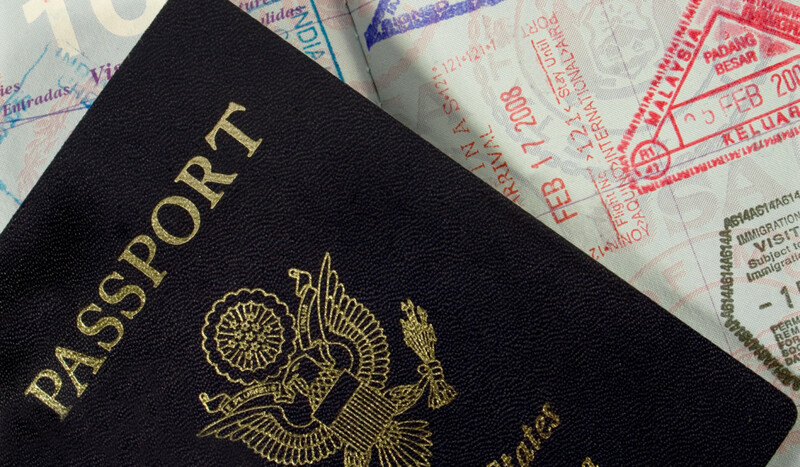 In this mini guide to visas, we outline when you need one—and when you don’t. Plus, all the fees, forms, and formalities you may encounter on the way for select destinations. For more details, visit travel.state.gov. Argentina: Visitors must pay a $160 reciprocity fee online before arrival (embassyofargentina.us). Print the receipt and take it with you (it’s good for ten years). Nicaragua: Visa not required, but visitors must buy a $10 tourist card upon arrival. Panama: none required; a $5 tourist fee is included with airfare. Much of Mainland Europe: Visa not required; a valid passport is sufficient for stays of less than 90 days. Turkey: Visitors must complete an online form before arrival (evisa.gov.tr; $20). China: Visa required; $130. Visitors staying 72 hours or less (on a long layover to tour Shanghai, for example) don’t need a visa. Indonesia: Visa available upon arrival at bali’s ngurah rai international airport; $25. Brace yourself for lines. Maldives: Free visa on arrival. Thailand: Not required for stays of up to 30 days. Australia: Visitors must complete an online form before arrival (eta.immi.gov.au; $18). New Zealand: Visa not required for stays under three months.